PARIS—Sidney Delourme gets really passionate when showing pictures of his ambitious project. For now, it is just a huge rooftop in Paris overlooking rails and old towers with the Montmartre hill in the background, but his drawings show plans for green and wooden spaces. The 31-year-old is developing a huge urban farm in the heart of Paris, which is often cited for its lack of green space compared to its large population size. A study by MIT’s Sensible City Lab published in January found that Paris is the least green city among 10 major cities studied. The duo intend to plant purple basil, chocolate mint, ancient lettuce, and edible flowers in the farm. The facility will have many innovative features, including a greenhouse that gets its heat from a data center located below, hydroponics cultures—a method of growing plants in water rather than in soil—and space for permaculture. Plans are also in place to include a store to sell some of the produce, as well as hold educational activities. “It will be the biggest urban farm in France and Europe when it opens, hopefully in the third quarter of 2019,” Delourme said. It will be one of the biggest, at least. 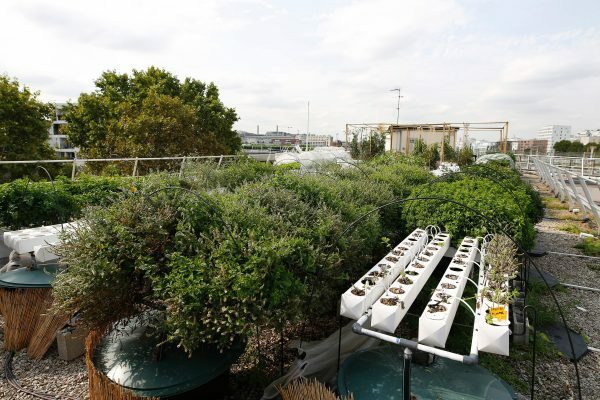 There are other similar projects under development in France, among them a project to develop a 10,000-square-meter (2.5 acres) urban farm on the rooftop of a large logistic platform in Ivry-sur-Seine in the south of Paris. There has been a dramatic increase in urban farming in France over the past few years. “I remember that two years ago, when we started to get organized and worked with Agroparitech—a prestigious French school and research center in life science and agronomy—we were only seven project developers,” said Grégoire Bleu, co-founder and president of the French Association of Urban Farming (AFAUP). “Today, we can estimate that there are anywhere between 200 to 300 projects under development,” he added. Bleu said the figures only account for professional projects, meaning those that have at least one full-time employee. To get closer to the real number of sizeable urban farming projects, he said the figure has to be doubled to account for those that may not have full-time employees. That doesn’t even include the not-for-profit and smaller-scale initiatives such as community gardens, which are much larger in number. 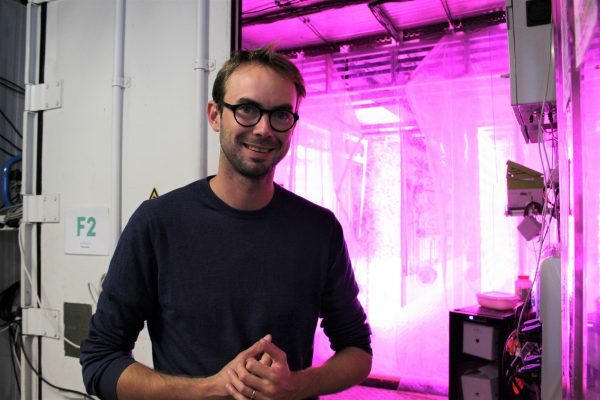 Bleu himself is co-founder and CEO of an urban-farming company, La Boîte à Champignons, with multiple operations between Paris and Rennes in the region of Brittany. “The trend is everywhere in France. From what I know, 45 percent of the projects are based in Paris and 55 percent outside. Cities such as Marseille, Lyon, Rennes, Lille, Strasbourg are very dynamic, but I must admit the phenomenon, at least regarding its news coverage, started in Paris,” Bleu explained. 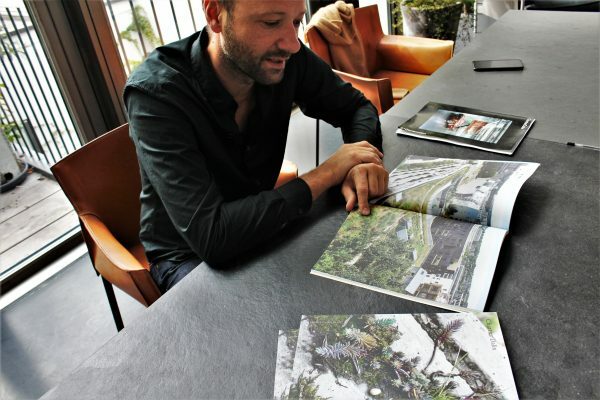 Delourme concurs: “Paris has been the driver of the movement.” Their rooftop project won a major urban-farming competition in February, one of several introduced by Paris Mayor Anne Hidalgo under an initiative called Parisculteurs. “Paris has a very structured approach: They started with auditing all underexploited or empty public buildings, and within three years, they had prepared a hundred sites so that they could accommodate urban farms,” said Delourme. The Parisculteurs jury panel that chooses the award-winners boasts many experts, including the internationally-renowned Italian architect and urban planner Stefano Boeri, who designed the famous Bosco Verticale, or vertical forest, in Milan. There are more initiatives to encourage urban farming in Paris as well, including incentives for construction projects. “Since 2016 in Paris, city planning rules have been allowing us to construct beyond the maximum height limitations only if we build an agricultural greenhouse,” said Frédéric Chartier, who co-founded the architecture studio Chartier Dalix along with his wife Pascale Dalix. 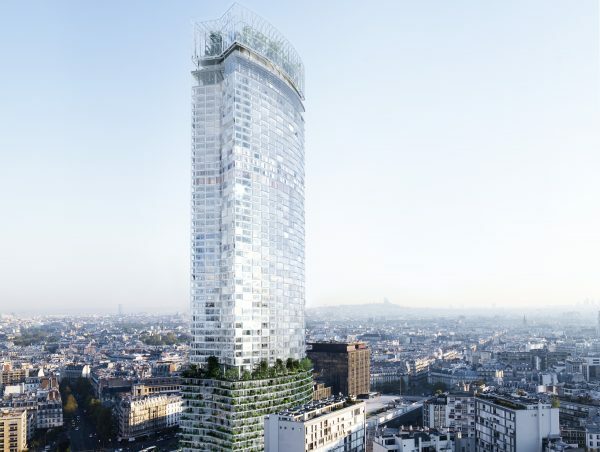 Their firm is part of the Nouvelle AOM consortium, which won the bid to oversee a 300-million-euro ($350 million) project to renovate the iconic Tour Montparnasse skyscraper ahead of the 2024 Paris Olympic Games. Part of their design is a 59-foot-high biosphere greenhouse on top of the skyscraper to grow vegetables, which will partly be consumed by occupants of the building. Once done, Tour Montparnasse would become the highest urban farm in Paris, visible from different locations in the city. “A strong symbol,” Chartier said. It’s no surprise to Chartier that the City of Lights is leading the trend in urban farming. Still, business-focused urban farms in the Paris area currently account for just 5 percent of total urban cultivated areas, according to Maison de l’Agriculture Urbaine—or the House of Urban Farming. The vast majority of the farms are driven by non-profit projects, a gap that points out the largest challenge for taking urban farming to the next level: creating a profitable business. “In France, the biggest challenge for the industry is to reach a commercial scale. So far, it is not really the case,” said Delourme. According to Bleu, efficient business models still need to be developed further for urban-farming companies to prosper. One of France’s urban farming startups that has succeeded in attracting millions in funds is Agricool, which grows strawberries in containers. Agricool founders Guillaume Fourdinier and Gonzague Gru, 31 and 30 years old, respectively, and both sons of traditional farmers, managed to turn a personal challenge into a promising business venture in three years. The initiative started when Fourdinier broke his leg and decided to kill time by challenging himself to grow strawberries in his apartment. 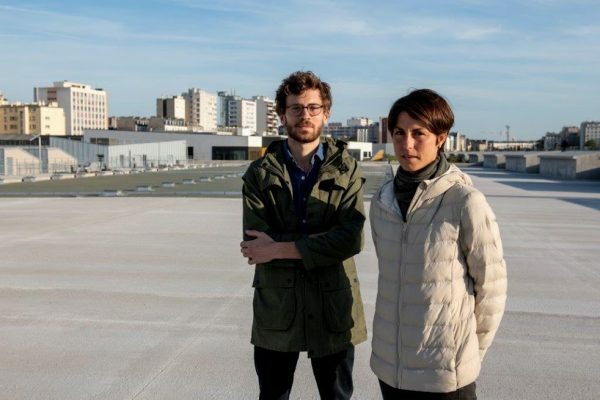 Today, their startup employs 53 full-time employees, and has raised 12 million euros ($14 million) from private investors, a first in French urban-farming history. 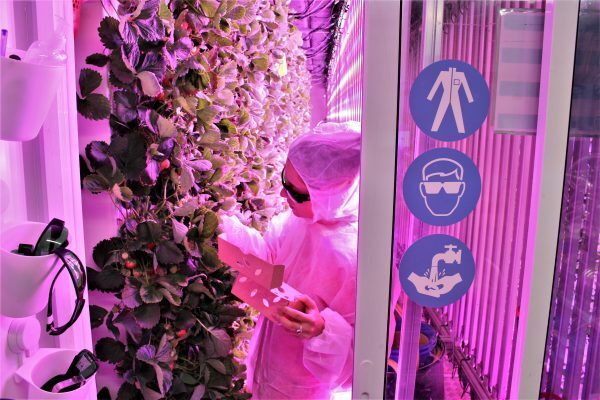 Agricool uses refurbished shipping containers—called cooltainers—to grow strawberries using hydroponic methods, specially designed LEDs, air conditioning, and bumblebees for pollination. “We collect strawberries every morning except Sundays and then we supply our distributors, all located in the neighborhood, and some supermarkets and gourmet food shops,” Charlotte Mignol, a “cooltivator” at Agricool, said while completing her daily harvest in a white jumpsuit to follow hygienic precautions. The company has built four operating boxes in Paris region and wants to build more in the near future and expand to other types of products such as tomatoes. Currently, the company sells an average of 200 boxes of strawberries a day, which is not yet enough to turn a profit. But Fourdinier is confident that their business model will work. “It can be summed up in a single word: sales-volume,” Fourdinier said. He hopes this will help them become profitable by 2021. Fourdinier’s ambition for urban farming isn’t limited to their operations alone. He believes urban farming could one day supply a large portion of cities’ produce needs. Bleu is more conservative in his assessment. “In France, urban farming is still more focused on projects driven by associations that tend to meet local needs and create social unity,” he said. For him, there is no competition between rural and urban farming. “It’s like a bear being scared of a hamster,” he said. 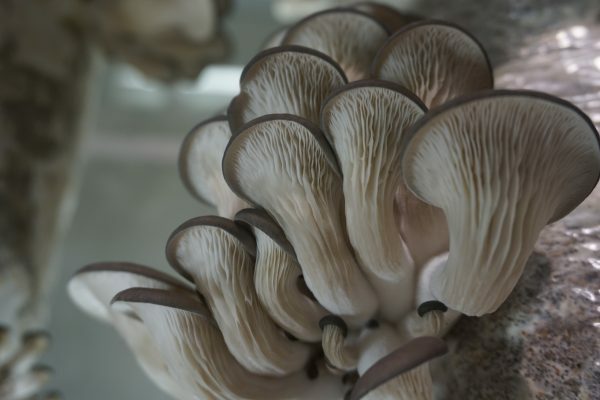 In his assessment, food produced by urban farming is still very negligible, and will remain that way, except for niche products such as high-quality mushrooms or micro-green projects.